A more easily recognizable enterprise web login page supporting single sign-on. Provides integration opportunities with many commonly used multi-factor authorization (MFA) and two-factor authorization (2FA) providers. Requires the use of a non-self signed SSL Certificate ensuring web client connectivity is secured. Pre-requisite: Make sure a non-self signed, well known and trusted SSL Certificate is deployed and working in your Windows or Unix host. 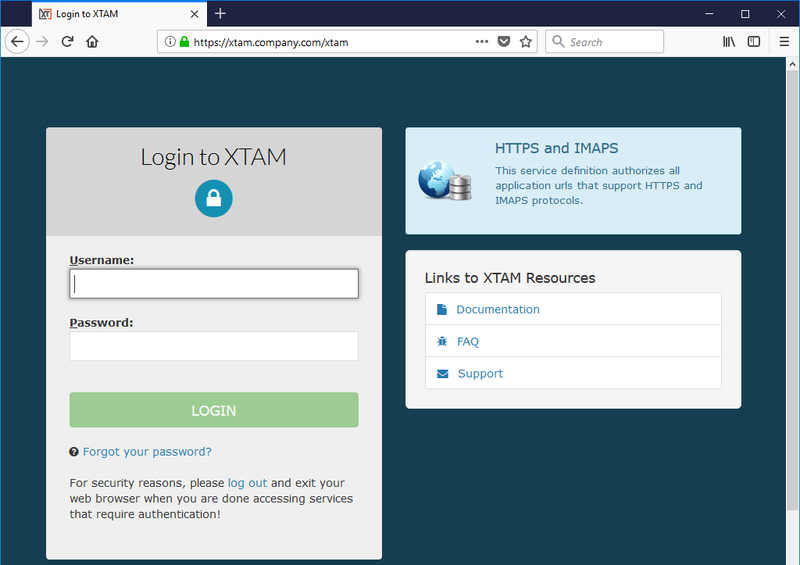 During installation, you will define the URL that XTAM will use for web connectivity and this connection needs to be secured with a trusted web certificate. While we recommend using a trusted SSL certificate in all deployments scenarios, if you have a self-signed certificate, please see this FAQ article for configuration options. During the installation, check the option to include the Federated Sign-In component in the wizard. On the Federated Connection page, check the Enable SSO option and enter your secured URL into the Managed Path field. Complete the XTAM installation as required. 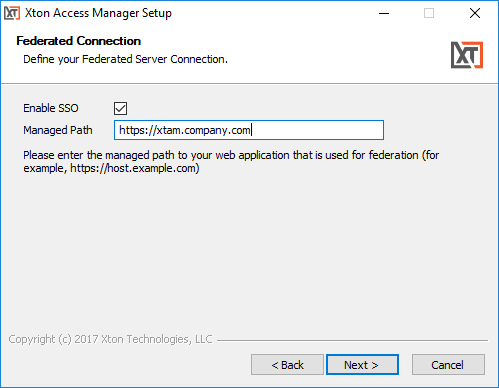 When the installation is complete, the federated sign-in page will be available at the Managed Path entered in step 2 followed by /xtam. When the download is complete, unpack the downloaded archive and copy its containing file cas.war to $XTAM_HOME/web/webapps. Restart the PamManagement (Windows) or pammanager (Linux) service. 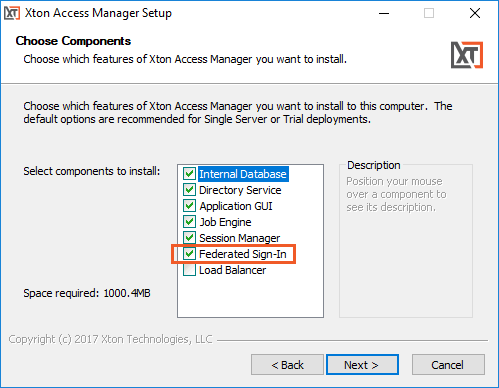 When the deployment is complete, the federated sign-in page will be available at the Managed Path entered in step 3a followed by /xtam.